"Simply an excellent home base for exploring Barcelona." Have a question for Acta Splendid Hotel? "We will definitely stay here again!" 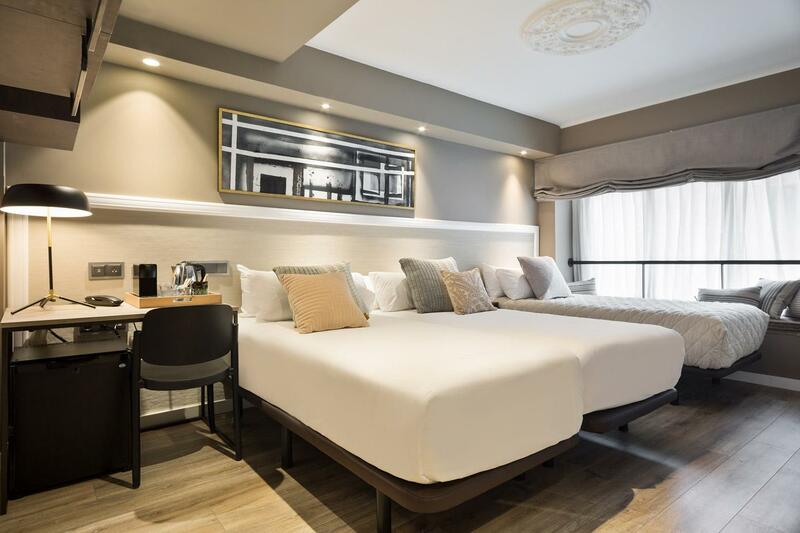 "The hotel was very clean and the staff very helpful and frie..."
Strategically located next to the university, this hotel is ideal for leisure travelers. 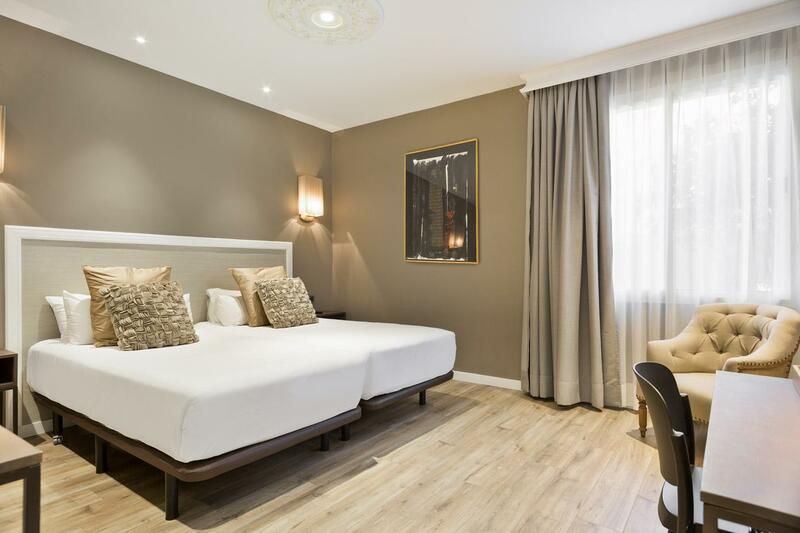 The famous tourist sites, including Las Ramblas and the Plaza Catalunya, are just a short walk from the hotel. While the hotel boasts the state-of-the art facilities, the rooms are well-equipped with modern settings. Right at the doorstep, guests will find a wide range of bars and restaurants. 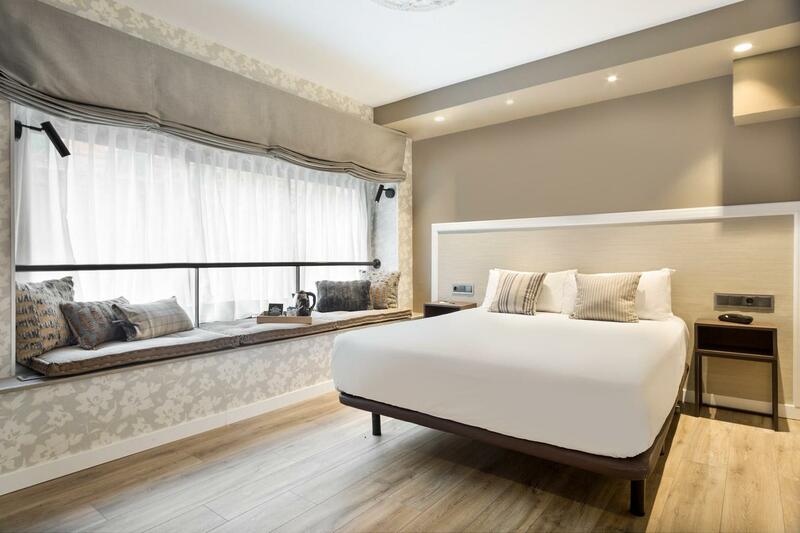 A great location along with the very best in services and facilities makes Acta Splendid Hotel an excellent choice when traveling to Barcelona for business or leisure purpose. "The location was ideal, and only a short walk for bus & metr..."
An additional charge will be required for use of the safety box. Children under 18 years old who are not accompanied by an adult must provide an authorization signed by their parents or legal guardian with a valid identification document. We stayed here for 2 nights. The location was perfect very central. Walking distance to everything. Very clean and hotel staff were amazing. Only thing was the walls were paper thin so it was very noisy at night. Also had a weird tapping sound after midnnight. The staff is polite, hotel room is clean but the hotel facilities are old / dating and a little depressing. Perfect for one night / people not spending time in their rooms ! Simply an excellent home base for exploring Barcelona. We stayed here for our first visit to Spain, and found this a great hotel for our needs. The location was ideal, and only a short walk for bus & metro links. The hotel was very clean and the staff very helpful and friendly. We will definitely stay here again! We arrived one hour before check-in and the room was already prepared. 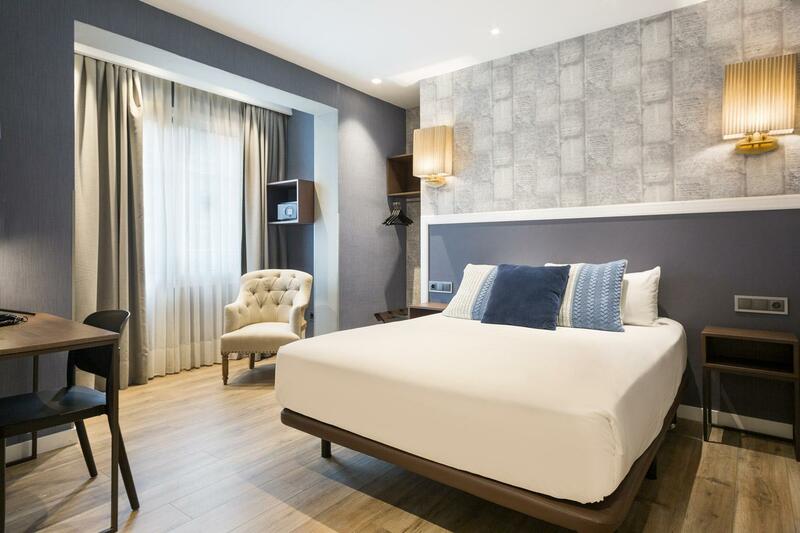 The hotel is located near Universitat metro station, and about 10 minutes walking from Rambla. There was a safebox in the room but we had to leave a deposit of 20 euros for the key. The room is not equipped with kettle, we asked for one and received it after short time. The staff helped with purchasing tickets for a Flamenco show. Luggage storage is with 2 euro coins. This was really worth the money! Great location, efficient service, no hassle. I booked this hotel as it was centrally located and had all my basic requirements covered for a competitive price. It's not a hotel I can rave about, but it met my expectations perfectly. The service at reception was friendly and efficient. I wasn't happy with the first room I was given as it was over the main road, but the reception staff happily offered me another room at the rear which was quieter. They warned me the room would be a bit smaller and didn't have any view, but these things did not matter to me. On a city break, my room is primarily for sleeping. The rooms are compact and the fittings are starting to age but everything functioned appropriately. I had a double bed (firm mattress) decent size mirrored wardrobes, flat screen TV (few english news channels), small fridge & heating/aircon. No tea and coffee facilities but there is a vending machine on each floor. The bathroom was of an acceptable quality and the shower didn't flood the floor! The WiFi worked fine in the room on my smartphone (ask reception for the code). My only gripe was no plug socket by the bed - I had to charge my phone overnight in the bathroom! Overall this is a perfectly acceptable, functional hotel in a great location. Don't expect too much and you won't be disappointed. Great location, in the middle of the city center. Quiet street, large rooms and all the basic needs was there. Very friendly, rooms clean & big for Europe size, very close to everything! Hardly caught metro. Close to cafe, bistro, bakery. Stop at Placa Universitat from airport, not Placa Cataluna !!! We had a great stay the staff were very friendly,and the rooms comfortable,there is a very nice breakfast served and the location was terrific for what we wanted to do and see,we were able to walk everywhere. L'hôtel est situé dans une rue calme à proximité du métro, donc très pratique. Les chambres sont très propres et la literie est de bonne qualité. Dommage qu'elles soient si petites au point de pouvoir à peine tourner autour du lit ! Dommage aussi qu'il soit prévu une télé écran plat...qui ne sert pas à grand chose quand on ne parle pas espagnol ! Aucune chaîne française, ce qui est quand même étonnant, vu le nombre de touristes français qui visitent Barcelone !...Un bémol aussi sur le tarif du petit-déjeuner qui est à 13€ (!!! ), alors que la plupart des menus du midi sont à 11€ dans les restaurants (avec entrée, plat et dessert...). D'ailleurs, dans la plupart des hôtels de cette catégorie, le tarif du petit-déjeuner se situe autour de 7€, ce qui me paraît correct, vu que même si l'hôtel est propre et bien placé...ce n'est quand même pas un palace ! Io e mia moglie abbiamo soggiornato per due notti all' Acta Hotel e ci siamo trovati benissimo: camera pulita, bagno ben fornito, comodo e pulito,personale gentilissimo. Insomma tutto perfetto, se proprio dobbiamo essere pignoli la finestra si affacciava su una tromba delle scale non proprio paesaggistica..Se dovessi tornare a Barcellona ci soggiornerei ancora sicuramente.